Daryl Johnson (Worcester Park, United Kingdom) on 19 September 2009 in Architecture and Portfolio. 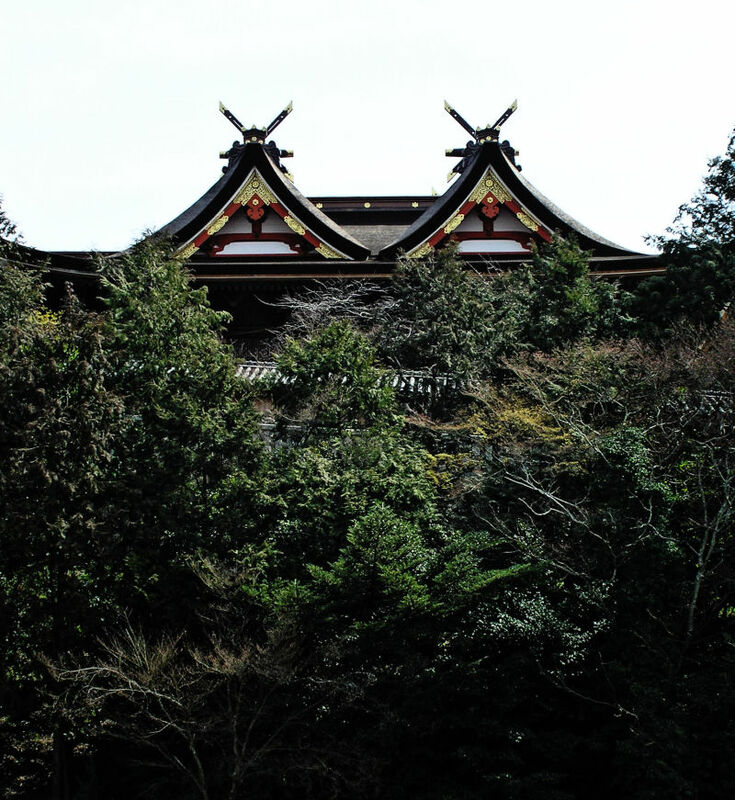 A final view of Kibitsu Shrine and its famous roof. @Eleftheria: It's a very interesting country Eleftheria! Thank you. That was a nice serie on this temple and garden. Hidden and then revealed - by you ! This is a wonderful shrine. This series has been most enjoyable. Like Eleftheria, I want to go to Japan one day soon. @Steve Rice: Thank you Steve! I thought you had been there...? I have but one year is not enough. @Steve Rice: One year is certainly not enough! So many things to do and see. And eat...! beautiful. i love how the rooftop blends with the trees. This picture is very original, and intrigating.